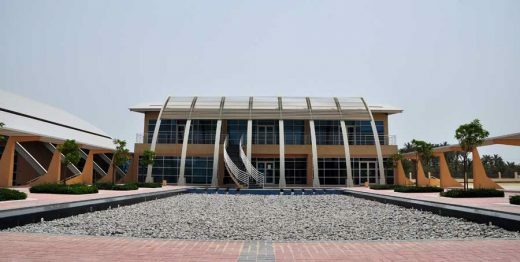 18 May 2009, Bahrain – Leigh & Orange is pleased to announce that the second in a series of Model Sports Clubs designed by L&O was officially opened recently by the Crown Prince and Supreme Council for Youth and Sports (SCYS) chairman Shaikh Salman bin Hamad Al Khalifa. The program of sports clubs is part of the Bahrain government’s drive to provide recreation, sports training and venues for interclub league competitions for the people of Bahrain in four regional sports clubs. 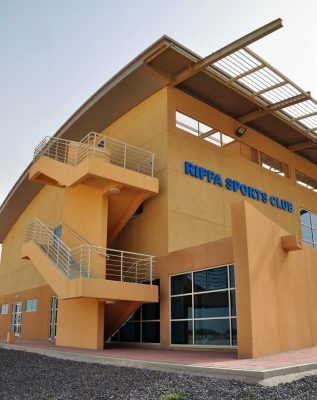 The design of a generic model sports club in Riffa, that is to be adapted in three other locations in the Kingdom of Bahrain. Each club will consist of a clubhouse with a gymnasium, indoor swimming pool, outdoor pitches and suitable support facilities. 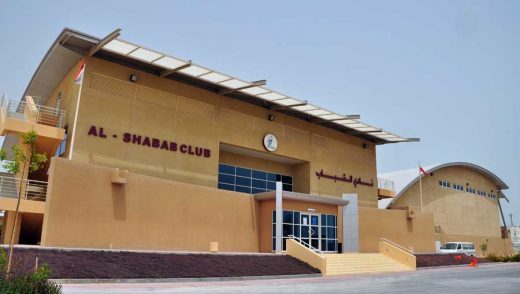 With the overall project costing over US$58 million, the USD6.897 million Al Shabab Model Club off the Budaiya Highway near Jidhafs, is the second Model Sports Club in Bahrain and the first in the Northern Governorate. The first, West Riffa Sports Club, also designed by Leigh & Orange, was opened by the Crown Prince earlier this year. Further sports clubs are planned in the program, with work on L&O’s Sitra Sports Club underway, at a cost of USD 10.73 million. Leigh & Orange Ltd connects people and projects across the architectural and interior design industry. For over a century, the Company has remained a leading international architectural and interior design practice that has won numerous awards in the industry. The Company’s headquarters are in Hong Kong, with offices throughout Mainland China, South East Asia and the Middle East. Founded in 1874, Leigh & Orange has evolved from a Hong Kong local company to a global architectural practice. The Company has been designing remarkable buildings – from Hong Kong University Lok Yew Hall to the Hong Kong Science Park Phase II – from the French Mission (now the Court of Final Appeal of Hong Kong) to UHN International Village in Beijing – from Mandarin Oriental Hotel in Hong Kong to Dream Island in Bahrain. The iconic buildings in Asia and the Middle East have provided pleasure to their users, enriched the public realm and won Leigh & Orange numerous awards over a span of 135 years. The success of Leigh & Orange has developed from our core values of Integrity, Humanity, Creativity and Sustainability. The Company is driven by the pursuit of quality, by genuine belief that our surroundings directly influence the quality of our lives – and by concern for the physical context, the public realm and its cultural aspirations. Leigh & Orange’s Group, with a total of 450 staff in Asia and the Middle East, attracts creative and innovative talent from around the world by offering an inspiring working environment and a rewarding career development path.